ReNu MultiPlus contact lens solution at best prices from Posh Eyes!! ReNu MultiPlus Solution contains Hydranate a special ingredient that removes protein deposits. 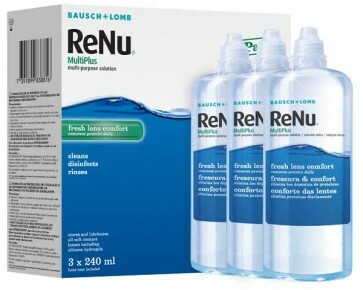 So you can clean rinse disinfect remove protein and store your lenses with one bottle - ReNu MultiPlus.